Let's talk about one of my very favourite fragrances. 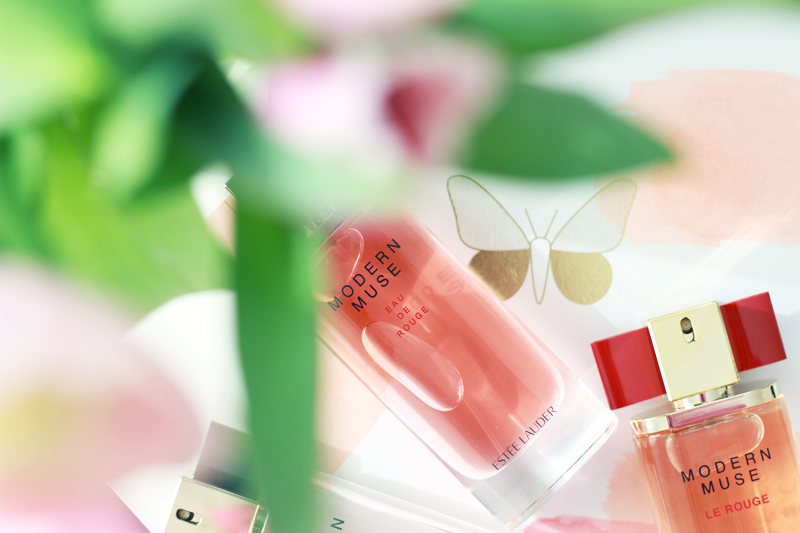 Modern Muse by Estée Lauder launched back in 2013 (in the US) and 2014 (in Europe) and I was one of the lucky few ladies to be invited to the launch of the fragrance in Amsterdam. Read all about that here. I fell head over heels in love almost instantly - this fragrance just blew me straight away. While I've been patiently waiting for more varieties based on the original scent (#modernmuseaddict), Estée Lauder has launched Le Rouge and Eau De Rouge, two quite different fragrances that seem like they were made for a different type of modern muse. 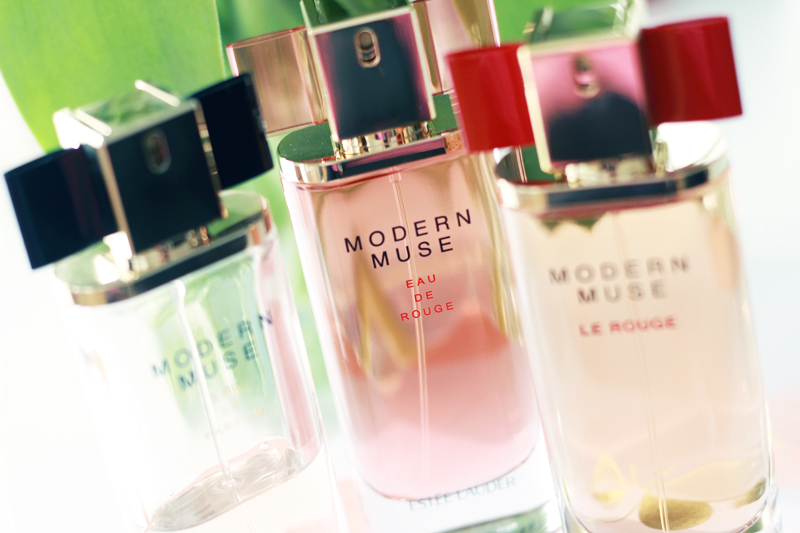 So which modern muse are you? The original Modern Muse fragrance is a beautiful white floral composition that reminds me a lot of Narciso Rodriguez's For Her. It's the perfect fragrance both for daytime and nighttime, it's very feminine without turning overpowering & every now and then I still get compliments when I'm wearing this fragrance. It's without a doubt one of the fragrances in my ultimate fragrance top 5. Le Rouge was released last year and is very different from the original scent: a rich rose scent with a lot berries & vanilla. It's a very full scent, quite spicy & oriental, and also a lot heavier on the patchouli. This is one of those heavy chic warm feminine fragrances - not meant for me, but I know that many love these kinds of fragrances. 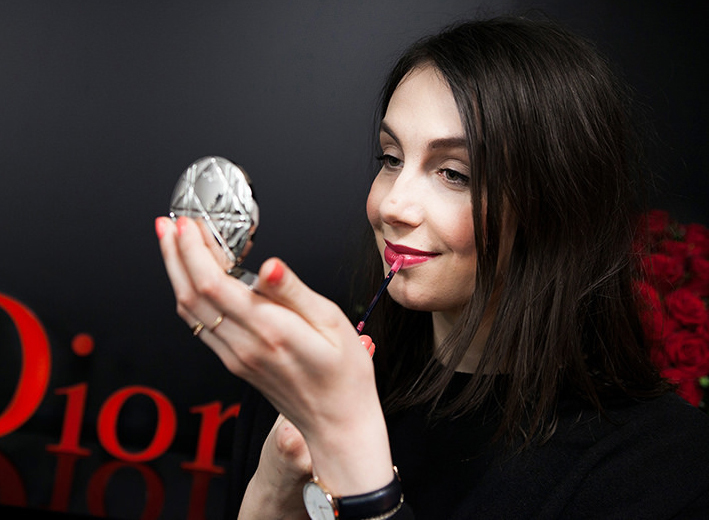 Eau De Rouge came to join the other Modern Muses this year, with a softer interpretation of Le Rouge. This one is a peppery fruity rose fragrance, better suited for daytime wear than Le Rouge for those of you that don't like heavy scents all day through. It's quite sweet with raspberries and currant buds, but not overly sweet thanks to the pink pepper kick and woody base. 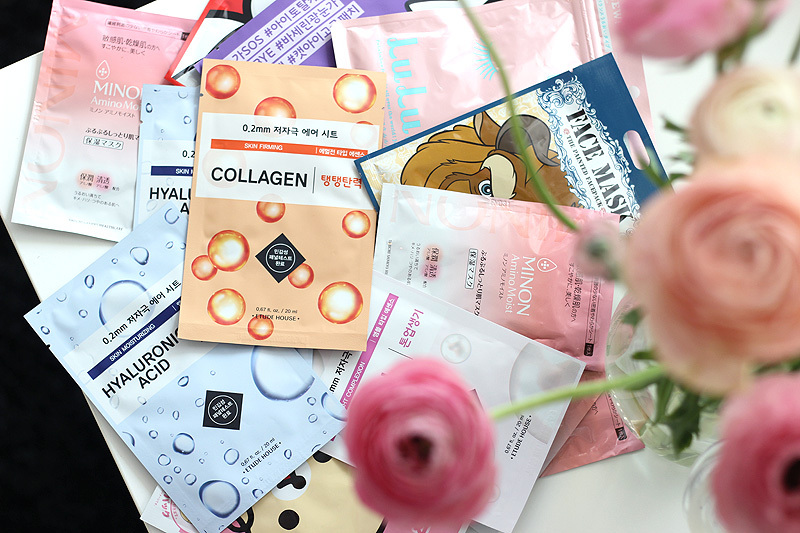 Perfect for those who feel Le Rouge is a little too heavy. 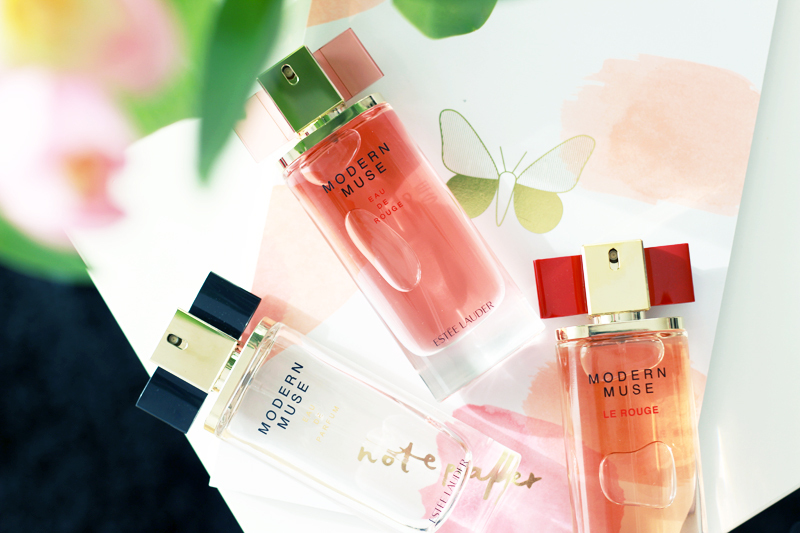 In the meanwhile I'm very patiently waiting for an interpretation on the original Modern Muse fragrance as it's my very favourite of the whole bunch - it's just so addictive. Please, Estée Lauder fragrance team.. Consider my request! I'm sure many of us will be eternally grateful.